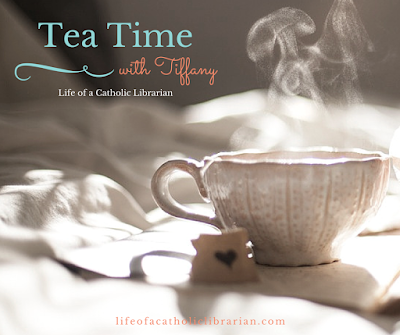 Life of a Catholic Librarian: Tea Time with Tiffany #84 - Birthdays & Lenten planning! Tea Time with Tiffany #84 - Birthdays & Lenten planning! Today I talk about, yes , my birthday ;-), my plans for Lent, feeling re-energized for spring cleaning and scents, and a morning yoga update! St. Joseph Guide for The Liturgy of the Hours. (The link I just provided is for the 4 volume set. This is the Guide for the 1 volume Christian Prayer). How are your Lenten plans shaping up? Would you be up for another book club this summer with the format we're doing now, one chapter per week? I'd love to hear your thoughts!